For your next arts and crafts project, instead of popping down to the craft store to pick up some pre-cut timber and MDF silhouettes, shapes or products, you may want to consider making your own at home instead. With a little practice and trial and error, you to could be making your own unique products and shapes of any size, no longer being restricted to what can be bought off shelf. 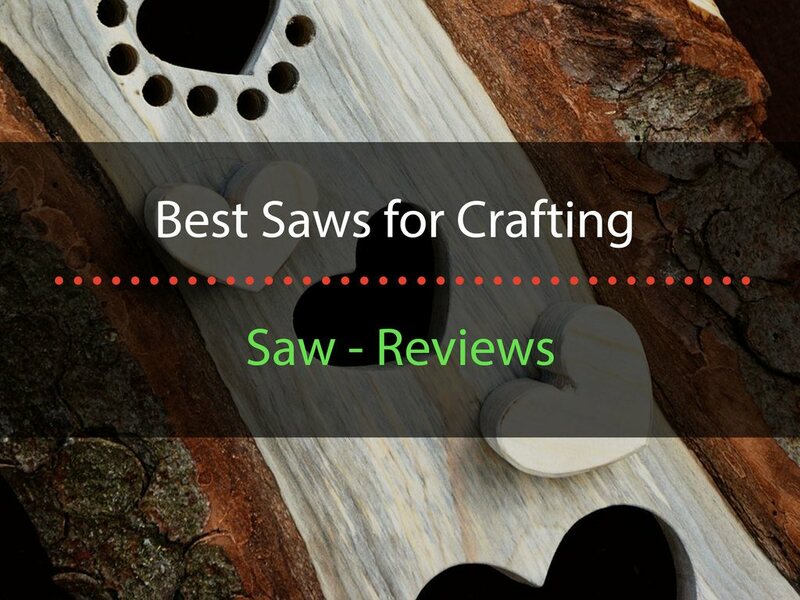 In this article we will be going over the different types of saws that can be used for crafting, and provide you with a few examples. 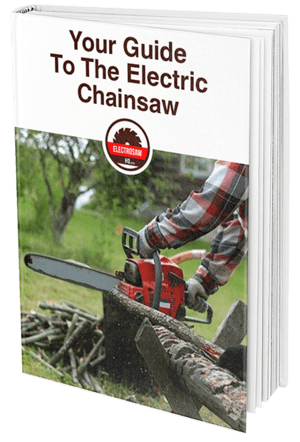 Ripping (cutting) wood to length is quick and easy with these wonderful devices. Once positioned, the fence (guide stop) can offer the perfect cut, and allows for multiple pieces to be cut to the same length. By adjusting the blade, you are able to change the angle and depth on the cut as well. Most heavy duty table saws are bulky and cumbersome, and not ideal for crafting purposes, not to mention costly. Smaller table saws have smaller saw blades, so they are not designed to cut through thick pieces of wood. Nor are they meant to be used to rip large sheets of ply wood or MDF without additional supports. 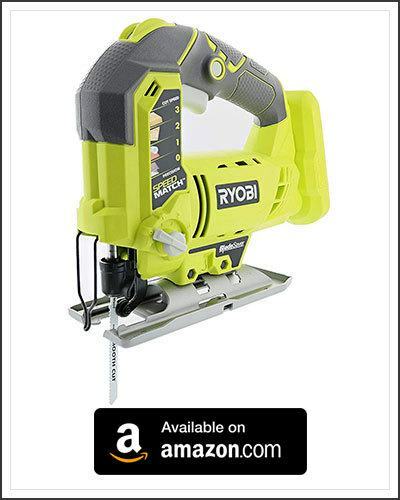 What these table saws have over their heavy duty cousin, is their compact size, and portability. 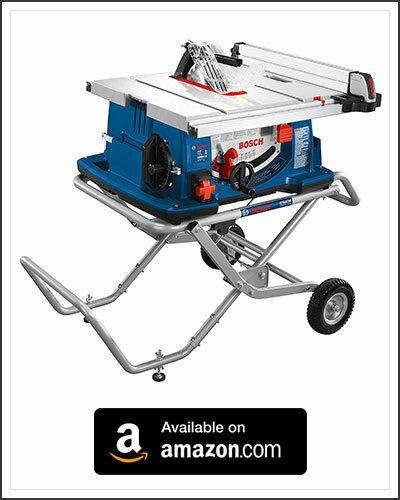 For more information on table saws, please read our Buyer’s Guide. Small and portable, weighing in at 50 lbs on average, these table saws are great for use in small spaces, alternatively they are suitable to be moved in and out of storage when needed. Larger then the bench top varieties, this particular design includes a wheeled stand that can be folded upright for better storage. 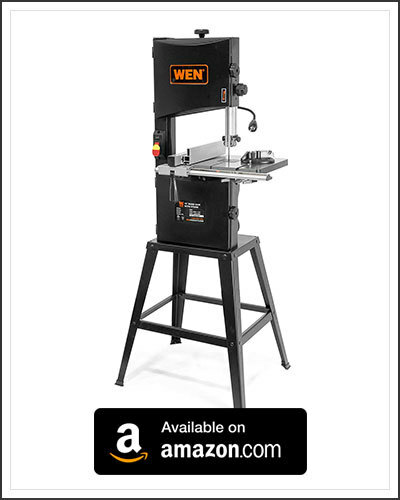 This makes moving the table saw around a breeze, and requires a small footprint of storage space. Just to show that you don’t need to limit yourself to just timber and MDF, here is an example of a table saw that has been designed to cut and polish stones, metals and even plastics. This particular unit includes a belt sander, as well as additional attachments for other functions as well. Similar to a jig saw and a band saw, these machines can use a vast variety of different types of blades, that can differ in teeth grade, blade thickness, or they can even be double sided. As the scroll saw is able to cut tighter turns then a band saw, this makes them the perfect choice for cutting the more delicate and finely detailed cutouts and silhouettes. 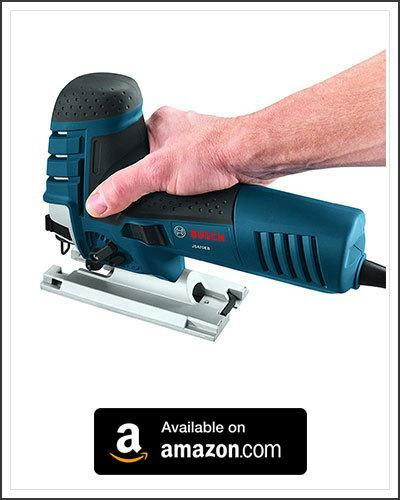 For more information on scroll saws, please read our article on Scroll Saws Reviews. 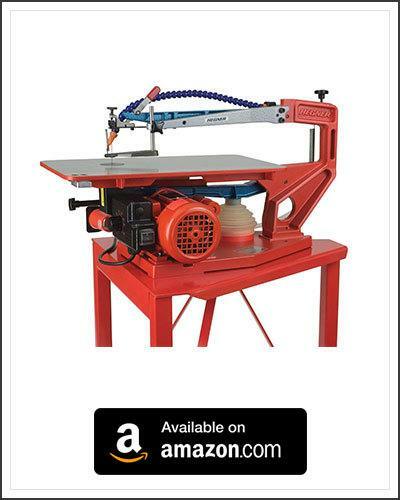 Like the bench top table saw, these scroll saws are small and compact in size. This sort of scroll saw is great for workbenches that don’t have much work space. Just make sure that there is enough clearance for the piece you are cutting to be moved around without colliding with anything. 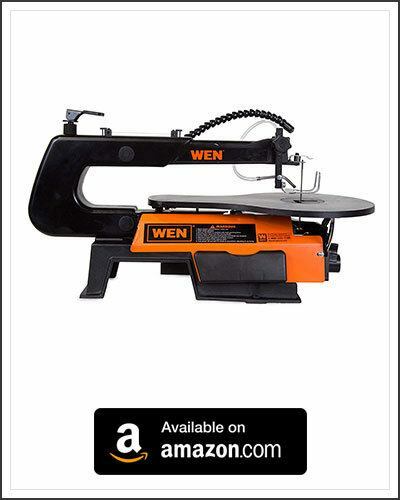 If you need to cut larger pieces, then you will need a larger scroll saw. If the size of the cut would cause the piece to come close to the base of the scroll saw’s arm, then the unit is too small for your needs, and you may need to consider looking at a larger unit. These portable hand held saws cut through timber much like how a manual hacksaw would, only much quickly, more cleanly, and very precisely. With interchangeable blades, you are able to switch between coarse cutting blades that tear through the wood, or more finely toothed blades that makes it easier to cut through MDF without causing blowout. Just be certain to use a blade that suits the type of material you are cutting through, as well as the type of finish you desire. 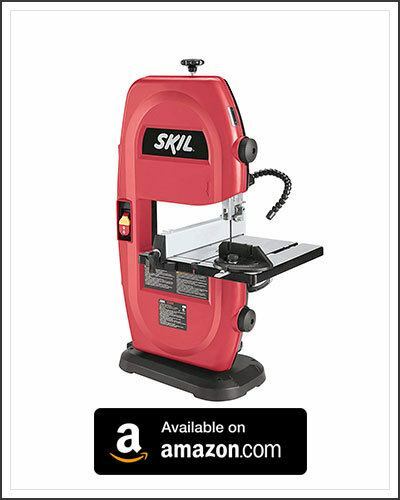 For more information on Jig Saws, please read our article of What is the Brest Jig Saw. 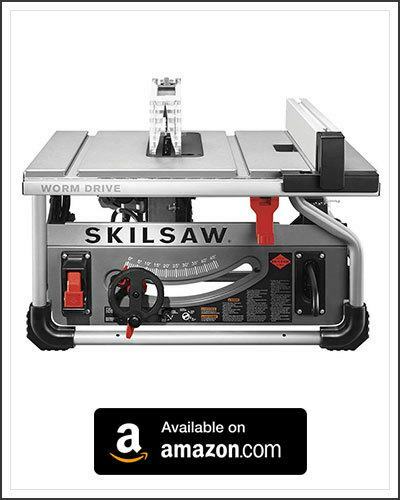 Like with many other power tools, jig saws can also be found in cordless varieties. This makes them even more portable and eliminates the risk of having the power cord getting in the way. 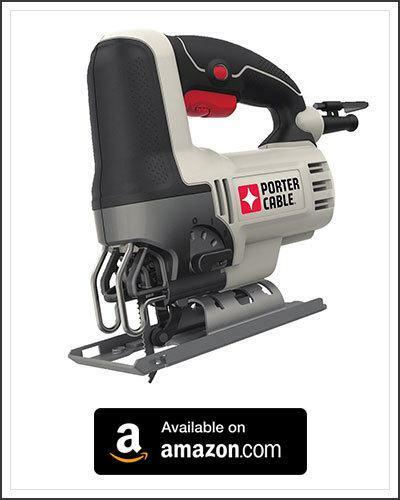 The more traditional form for power tools, are the power cord varieties. While less portable then the cordless variety, they do maintain a more stable power flow and are much less likely to run out steam midway through a cut. Not all jig saws are the same shape and size. Some jig saws have been designed with a more comfortable grip in mind. If you mind a traditional jig saw to be uncomfortable to hold, m=you may want to give one of these types of jig saws a try. Taking their name from their banded blade that is used to cut through material, these machines can make light work of trimming down short timber, and cutting out shapes. Though technically capable of cutting straight lines, the flexible blade will never be able to get as straight a cut as a table saw over a longer length of timber. For this reason, band saws a great option for cutting short pieces of wood, as well as shapes. A scroll saw is more perfectly suited for cutting sharp curves and delicate details, but a band saw can still be used to cut out most desired shapes, you just might need to remove most of the excess wood before trying to cut out the actual shape that you require. 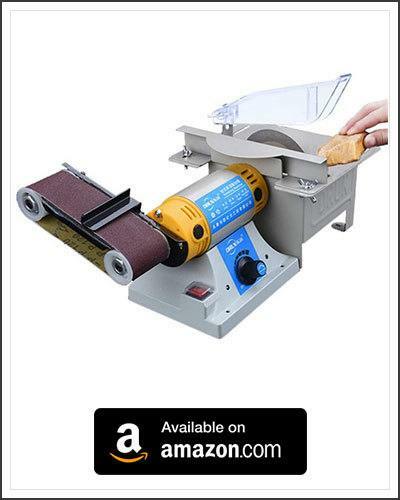 For more information on band saws, please read our article on The Top Band Saws on the Market. Like the other table top machines that we have covered today, the table top band saw is just as compact and portable. These smaller band saws have a smaller working space. So if the piece you are planning to cut would come close to the machines body, it could be too small for your needs. This sort of band saw has a larger working space then most table top band saws. They don’t take up much floor space, but still require enough clearance around the machine to allow the pieces to be turned around and passed through the brand. For a small initial out lay, you will be able to reproduce as many shapes and pieces that you require. Not only that, you will also be able to resize and reshape anything that you require, something that can not be requested with the pre-made components bought at your local crafting store. Consider the tools that you would most likely be using more often then not, and the amount of work space you have. These tools can be noisy but its a small price to pay for the convenience of being able to sculpt your own works or art from scratch.